How to Value A Hotel? Cities where Dr.Sopon and Mr.Chamnong went to conduct valuation of hotels worldwide. Hotel valuation is in need for an insightful investment. However, there are some confusions on how to value a hotel properly. Dr.Sopon and Mr.Chamnong share some of their rich experience on this matter. 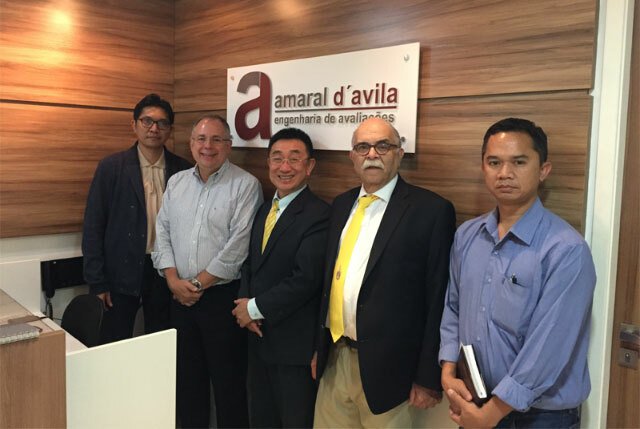 Visits to Local Experts in Sao Paulo. 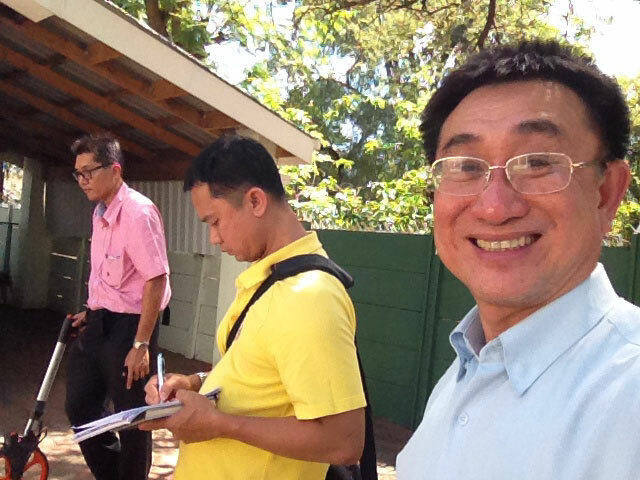 Dr.Sopon and Mr.Chamnong and their team went to conduct valuation of hotels throughout the ASEAN Region, South Asia, southern parts of Africa and Brazil. This has been rich experience which should be exchanged among ASEAN valuers. However, we have no chance to present the papers and deliver some conceptual ideas and techniques to valuation a hotel with confidence. Actually, the valuation is based on desk-top one at the beginning and a detailed field survey and exploration needed to complete the assignment. 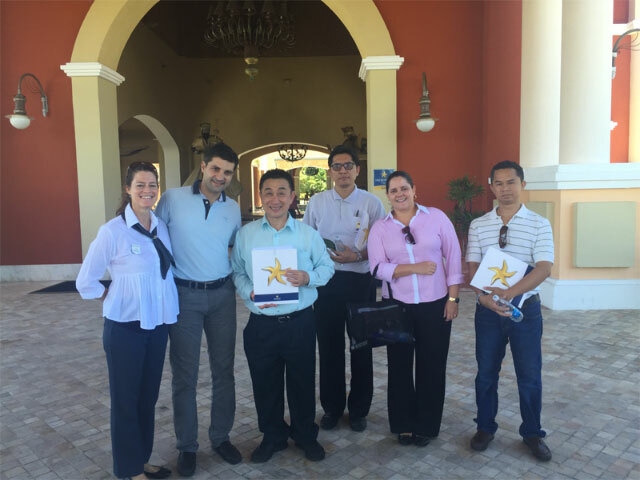 Visits to Competitor Hotels in Bahia, Brazil. Hotels under the valuation of Dr.Sopon and Mr.Chamnong include business hotels in Sao Paulo, a resort hotel in Bahia, Brazil, casino hotels in Botswana, Lesotho, and Namibia, resort hotel by the Victoria Falls, Zambia, hotels in South Asia as well as those in the ASEAN Region. We conducted the valuation for the Four Seasons, the Marriott, the Tivoli and the like as well as tens of hotels in Thailand alone. 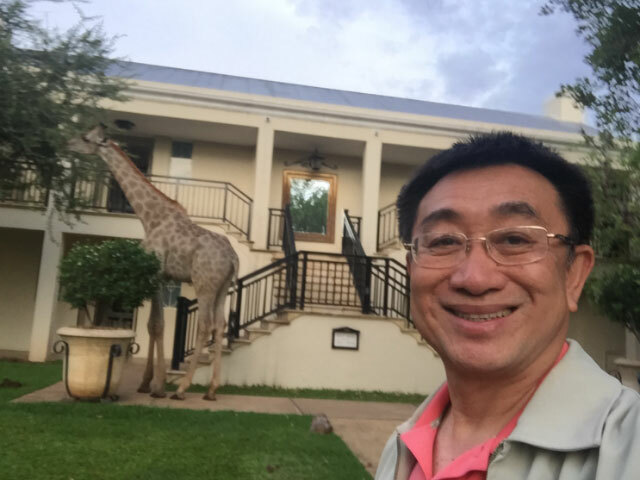 A Giraffe, A Valuer and the Hotel Valued. 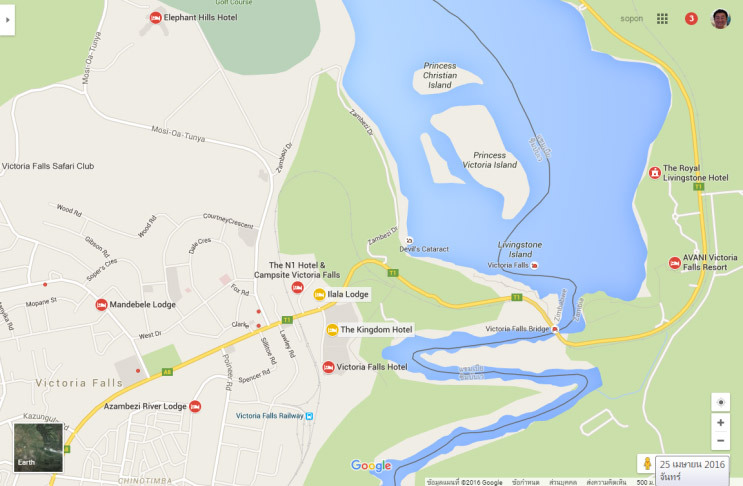 Hotels around the Victoria Falls. What is the different between hotel value and other properties? Value of other properties will go by value by sq.metre but not the hotel. What type of hotel are you valuing, business hotels, motels, breads and breakfasts, hostels, resort hotel, convention hotels and the like? This implies to different income such as rooms, food and beverage, events, amenities, petty income from other sources, etc. The proportions of income and the stream of income are also different. What are the most appropriate approaches to apply to the target hotel to be value? This is related to the business models of that hotel as well as the techniques implied. What are the stages of the hotel, such as an existing hotel, a hotel under construction, a planned hotel, a hotel which is running down or loosing money, an old hotel which needs to be refurbished? This will required different approaches and techniques to be applied. What are the life cycle and the business cycle of the hotel at that particular period and particular location? This will help determine the land value left (if any) and the analysis on the boom and bust of the cycle. Other consideration such as its international or local brand value, its historical (story) value and the like. 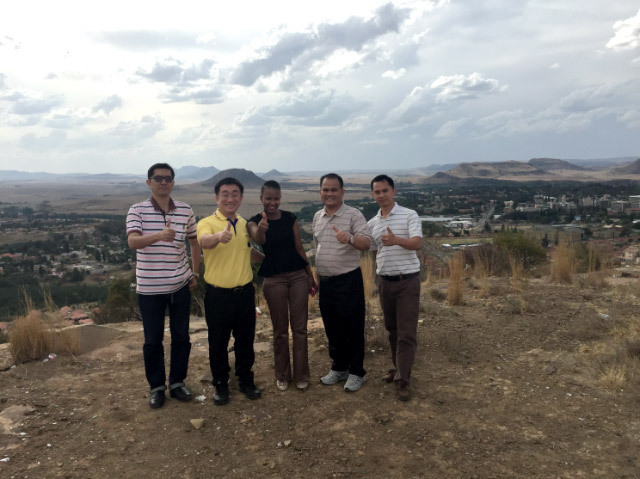 Our Big Survey Team in Lesotho. The Field Survey of Our Team in Botswana. 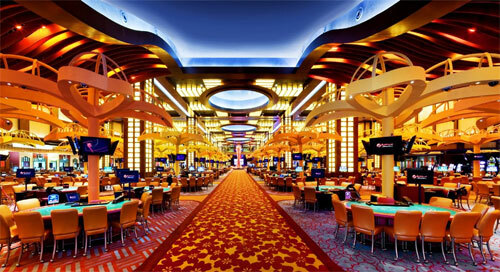 Casino Hotels Are Very Valuable Because of Legal Binding to the License of the Property. Supporting Information such as hotel building ownerrs, managers, real estate consultants and brokers, hotel guides and directories, real estate publications and industry associations. Property Information such as type of hotel, site area, class of hotel, no. of rooms, land value, building area, year built, renovation, facilities, dining room sales, lounge area, banquet, conference area and sales, parking spaces, pool, gyms and the like. Heavy and Continuing Disucssion with the Managements of the Subject Hotel. actual cashflow and income statement of the hotel during the past 5 years as well as industry information on actual income and expense statements, information on room rates and occupancy rates, expenses particularly the (typical) management and operating expenses; and Information on sale. How to work out a net income of the hotel valued? What are the economic life and any value left after the life? What would be an ample capitalization or discount rate applied to the analysis? What would be the potential growth of income of the subject properties? How to delineate Intangible Assets e.g. the brand of the hotel? Some branded hotels may not help make money compared to the local ones. A hotel valuation is of an interdisciplinary approach which should be planned by a team of valuers. In our office, we need some engineers and accountants as well as experienced valuers. 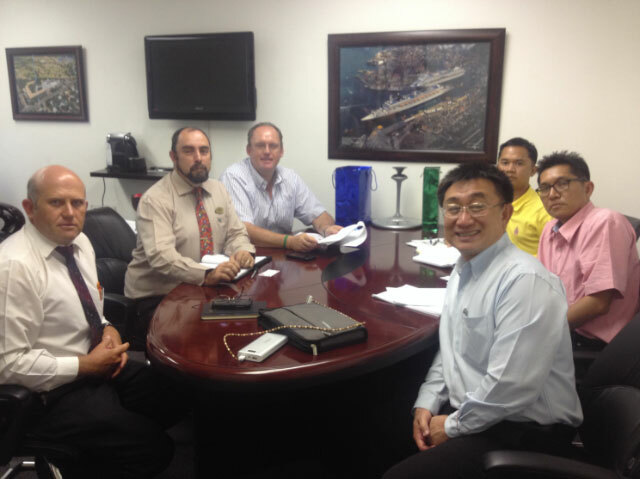 In addition, we need to consult with industry expert particular in a particular market as well.